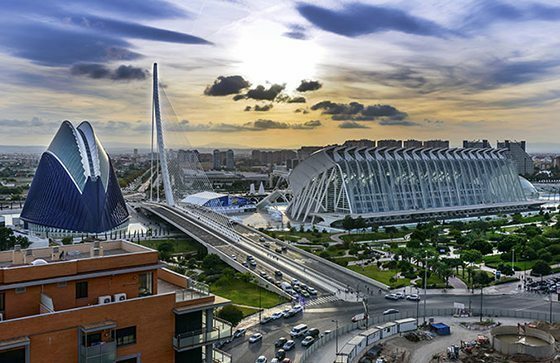 Owing to our interesting excursion you will be able to study history, culture and epoch changing and discover a lot of interesting facts about one of the most amazing cities in Spain. During 4 our excursion you will visit Benikarlo Palace that was built the XV century and now Valensia Parliament occupy the building. The next point of visiting is the heart of Valencia - Saint Virgin Mary Square. The Royal Basilica of Saint Virgin Mary is located on the Square. Inside of The Royal Basilica you will see a great relic - gravestone sculpture of Saint Madonna. Saint Madonna is a patroness of Valencia. The City Cathedral was build in the XIII century. The Gothic arches of The City Cathedral are so ancient that steel remember Rekonkista's epoch. Also you visit a Gothic Cathedral with its museum, admire with the beauty of Apostol, Gala and Palace Gates. During the excursion you will see a beautiful altar, Borgia family chapel and Sacred Bowl chapel. Within a break you will taste “orchata” typical non-alcohol and refreshing drink made from earth almonds. After a break you will visit on of the most ancient church of the city - Saint Catalina's church. The construction of the church started in 1245. You will get acquainted with a beauty of Gothic architectural style, Valencia Silk Exchange! The excursion will finish near the Central Square that has another name City Hall.